While traveling, Dutch people often have to explain where the Netherlands is situated. The Tea Towel Greetings from Holland is Usuals' response to this topographical unawareness. The Tea towels show a picture of various iconic international tourist attractions, together with their distance relative to the Netherlands. 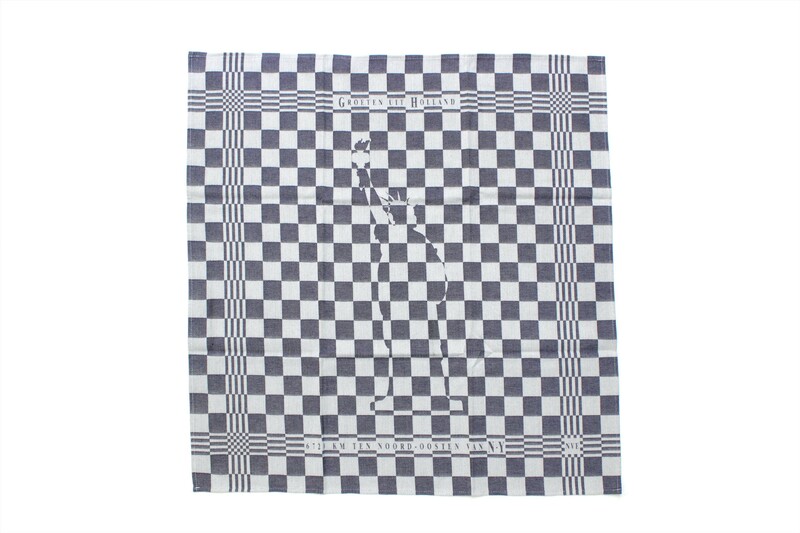 Crafted using traditional Brabants Bont (block pattern), this designer tea towel from Usuals makes for a unique souvenir. Let's hope they also dry the dishes abroad! Designer duo Van Eijk & Van der Lubbe bring their ideas and stories to your kitchen table with Dutch designer label Usuals! The Tea towels Greetings from Holland are specially designed for the project Dutch Souvenirs of the Textile Museum. The designer kitchen towels (67 x 67 cm) put the Netherlands on the map. The images on the Tea towel Greetings from Holland from Usuals consist of international landmarks. The distance from the Netherlands is mentioned under each landmark. For example, did you know that our little country lies 427 km north-north-east of the Eiffel Tower in Paris? Or that the Statue of Liberty in New York is 6,720 km away from us? In order to increase the souvenir value of the Tea Towel Greetings from Holland, the cotton towel is made of traditional Brabants Bont. A checked pattern of blue or red. 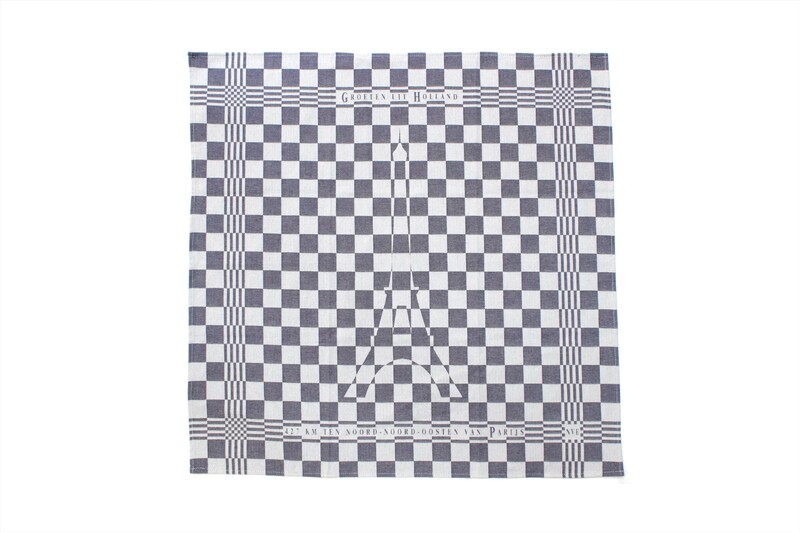 This pattern is interwoven with images of tourist attractions from all over the world. The cloths itself are woven at the Textile Museum, adding a distinct Dutch design touch. 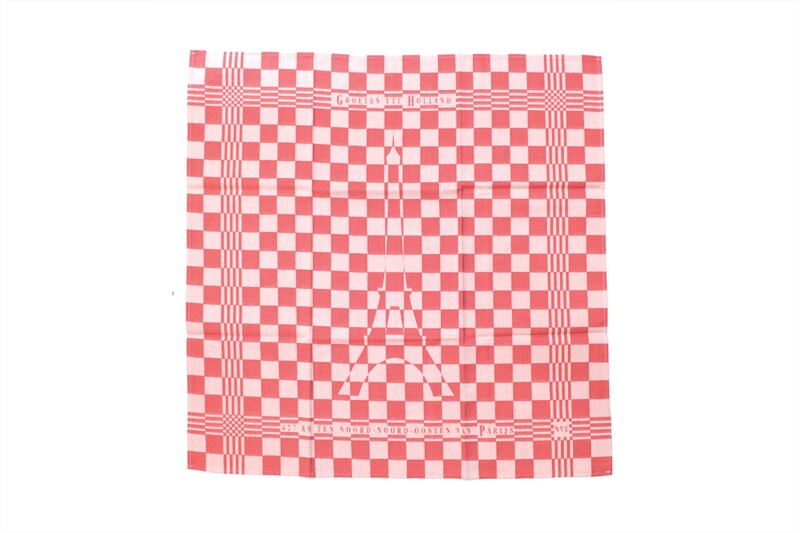 Holland.com offers the Tea Towel Greetings from Holland in the variants Holland-Paris and Holland-New York, available in both red and blue Brabants Bont. Let's hope they also dry the dishes abroad!